Experienced in design, architecture and management, Tracey Kasper is highly qualified for her positions at Avison Young. She joined the management company as the vice president of project management when they acquired her former employer, The Walsh Company, LLC, and added the title of principal last year. Her responsibilities include handling business development, marketing, giving presentations, and managing a team of professionals. To prepare for her endeavors, Ms. Kasper earned a Bachelor of Science in interior design and business administration from Northern Arizona University and became certified as an interior designer. 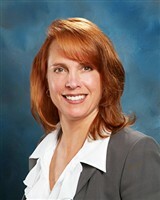 Additionally, she obtained certification in leadership in energy and environmental design and joined the National Council for Interior Design Qualification, Inc. Ms. Kasper then set out to accrue hands-on experience, first with Brenner Business Interiors and then with the Aztec Corporation, which she helped to found. She eventually accrued an arsenal of talents, including project strategy, construction, contract negotiation, real estate development, zoning, and project bidding. Ms. Kasper’s hard work and dedication have not gone unnoticed. She was honored as the Most Influential Woman in New Jersey, and was the recipient of the Higgins Classic Chairman’s Award. She was also nominated as the United States Leader for Sustainability by Avison Young. Ms. Kasper attributes her success to the reputation she has built over the years. Looking forward, she intends to continue experiencing growth in business and to expand into other markets. She hopes to be remembered for her reliable and consistently ethical business practices. When Ms. Kasper isn’t working, she enjoys flying, fishing, hiking, and camping. She also lends her services to the Special Olympics and other charitable organizations.